An excellent commentary on Shankara's Vivekachudamani, or The Crest-Jewell of Discrimination. 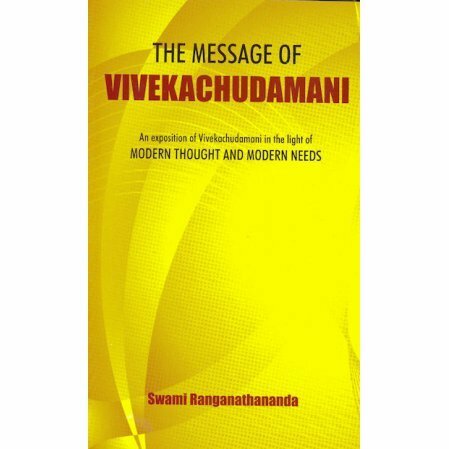 The Vivekachudamani is Shankara's classic work of Vedanta, here explained by one of India's most respected speakers and swamis. 309 of the 580 verses of the Vivekachudamani are covered by the swami. In these verses, the swami focuses on the prinicipal idea of the divinity of the soul, and places before the reader a clear picture of spirituality as only Swami Ranganathananda could do. Swami Ranganathananda was the 13th President of The Ramakrishna Math and Mission. He is the author of Message of the Brhadaranyaka Upanishad and Vedanta and the Future of Mankind among many other books. He is also the subject of the books: The Monk Without Frontiers: Reminiscences of Swami Ranganathananda and My Life Is My Work.